When you know that it’s time for betting big and win big, play this online casino card game for real money choosing blackjack tables at best online casinos. The main competitor is only real money Baccarat card game. If the time for betting real is hardly than play blackjack free to learn cards counting and accommodate some strategy. 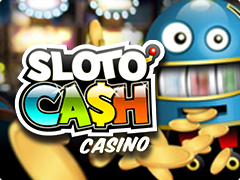 This casino money game makes everybody involved brains and some degree of gaming skills. The card game of 21 has very simple rules, playing which it's not so easy as it seems to beat the dealer. Despite the limited set of rules in blackjack, the outcome of each round for the player is depend very much on his actions (double betting, split hands, bets insurance) and chosen strategy (read more to know about basic strategy to win blackjack). There is one or several 52-card decks played. Face cards give you 10 points, Ace - 1 or 11 points. The rest cards represent values indicated on the cards. The aim of the game is to go closer to 21 and outscore the banker, but not to go bust (get over 21) in order to win the game. If dealt hand includes an Ace, it's called “soft” and implies your odds to win are higher than in case with a “hard” one with no Ace. The nuts combination "blackjack" consists of an Ace and any of tens, and it takes precedence of all other 21-point combinations. Blackjack combination is paid x1.5 more than any other one. In Blackjack if you hit lucky three 7 getting 21, a special Bonus prize is waiting for you! Card game Blackjack is played clockwise - a gambler is given 2 cards, and a dealer's first card is face up. Depending on the cards’ sum in the box, a gambler can take 1 or more cards. Double: a gambler x2 multiplies his bet and hits 3rd card. Double bets are a widespread practice. The essence of the rule is to get the first two cards, then double the bet, but in this case you are entitled to buy only 1 card. 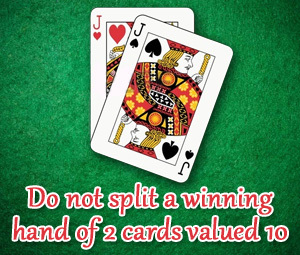 Split: a gambler can divide his first 2 cards of the same value into 2 bets thus increasing the boxes’ number. Split Aces pair rules differ. After splitting a pair of Aces, the "blackjack" combination is considered to be just 21 points and the wins won't be multiplied x1,5. But repeating split Aces is prohibited. Insurance: If a dealer gets “blackjack”, your boxes are secured with a bet. Available provided that the first dealer’s card is ace. If the "top" banker card is an Ace, most casinos offer to resort to the system of protection. The gist of it is this: you can place an extra half of the bet and win on the cards of the dealer. If in this case the shooter gets 21 points, then you win double. If not, you lose an extra bet, but the game continues as usual. Surrender: a gambler forfeits half his wager keeping the other half. Not available if the first dealer’s card is ace. Not all casinos offer you to use this rule because this running down the casino advantage. When all the gamblers make their decision, a dealer takes his cards. He stops as soon as the sum of points reaches 17 or more. After that all the boxes with higher point sum than the dealer’s one are paid, the lower - taken by casino. Choose a strategy, clarify the quantity of decks, the double option availability after split, and if the dealer stops taking cards at “soft 17”. Everyone wants to know how to avoid mistakes and hasty steps playing blackjack for real money and get some benefit from the game. The basic strategy will help players to understand the main principles of the game. 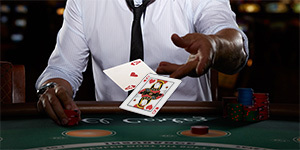 Let's disclose the optimal strategy for blackjack that is played with several card decks. As said above, the dealer must stop hitting the cards if he has soft hand of 17 points. When you understand fundamental principles of several decks blackjack, you'll easily use the basic strategy for simpler versions of the game. The basic strategy of blackjack is a certain system, consisting of 270 possible combinations that may happen during the games. Why 270? This takes into account 10 open cards of casino dealer that multiplied by 27 possible player hands. The result is a number 270. The rules are parted at certain groups and you don't need to remember what cards you have to get in your blackjack hand to double. The main thing in such case is to know that you should not double if an Ace is in dealer's combination. All possible combinations are also divided into 6 parts. 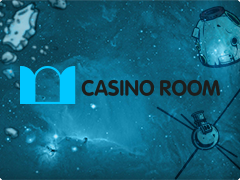 Take them into account while playing blackjack for real money against casino. A combination with Ace in blackjack is called Hard. It is necessary to double if the dealer has a hand of 3 to 6. It is necessary to stop and not to draw cards, if there are already 17 or more points. You can double, if you have 11 points, and the dealer's up card - not ace. Take a card if the hand is less than 12 points. If you have 10 points, and the dealer has not an ace, you can double. Surrender if your hand is 15 points, and the dealer's up card is 10. It is necessary to draw a card if you have 12 points, and the dealer's card is 3 or 2. And if you have 16, and the dealer has 10, you have no chance to beat him. In other situations, it is not necessary to take the card. Soft hand is a combination where the Ace is 11 points. Stop taking cards if the hand is already 19 or 20 points. If you have 18, and the dealer has 7 or 8 points, don't take another card. Doubling is necessary if the dealer has 4 points, and the player 15-18. In addition, you need to double if you have 17-18 points against the dealer's 3, and if you have 18 points and the dealer has 2. All other cases you get an additional card. What to do with the pairs in blackjack? If your hand is two aces or two eights, you need to separate them. If you have two 10, they do not need to be divided into 2 hands. If there is a pair of 5 in your hand and the dealer has 9 or less, you need to double. If you have a pair of 9, then split is not recommended unless the dealer has an ace in the hand, or 10. If you got a pair of 4 or 6 and the dealer has 7, you need to take a card. Take a card if you have got a pair of 4, and the dealer has also 4 or less. When the dealer has 8 or more, and you have a pair of cards from Deuce to Seven, you need to take a card too. In all other cases, the best way is to split pairs of cards into 2 hands. To consolidate new knowledge and test the basic strategy in practice, it is best to play Blackjack for free before real money betting. Possibility of free games will be a good start to carry the basic blackjack strategy when playing for real money.